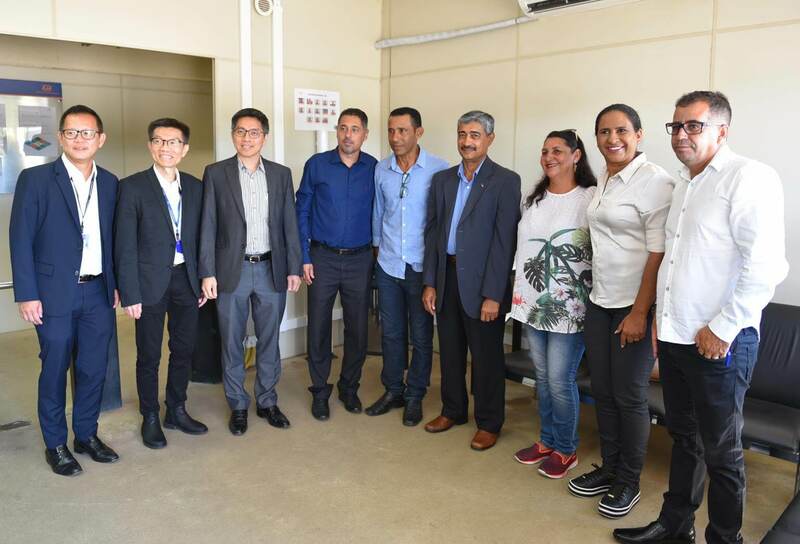 On January 28, 2019, the Jurong Aracruz Shipyard was visited by the new Governor of the Espírito Santo, Renato Casagrande, accompanied by the Deputy Governor, Jacqueline Moraes, the Secretary of State for Development, Heber Resende, the President of Bandes, Ângelo Batista, the President of the Legislative Assembly, Erick Musso and the Councilors of Aracruz, Marcelo Mena, Ronivaldo Garcia Cravo, Romildo Broetto and Dileuza Marins Del Claro. In his welcome speech, Jurong Shipyard President Altaf Hossain recalled that Governor Renato Casagrande participated in the launching ceremony for the EJA’s foundation stone on December 17, 2011. However, the President pointed out that for the Jurong Shipyard to become competitive in the international market and be able to compete with projects from shipyards in China and Korea, it is necessary that tax policy and labor laws be revised to reduce the final cost of services. The President also highlighted that EJA currently employs 4,600 people mostly from the Aracruz region, but with its total capacity it can employ up to 10,000 people. "We have built one of the most modern shipyards in this country. We have completed the construction of our quay and dredged our incredible 16 meters’ depth, unique in the country. We generate more than 4,600 jobs, with 90% of Capixaba labor, and we have the potential for more. We need more works, to overcome great challenges. We have the potential to generate up to 10,000 jobs, "explained Altaf Hossain. In his speech Governor Renato Casagrande said that in his previous term he was also visiting the Group in Singapore and visiting the work of the shipyard in 2014 and highlighted the strategic role of Jurong Aracruz Shipyard that places the State of Espírito Santo. "Today we have achieved a strategic position, close to the major oil producing areas. 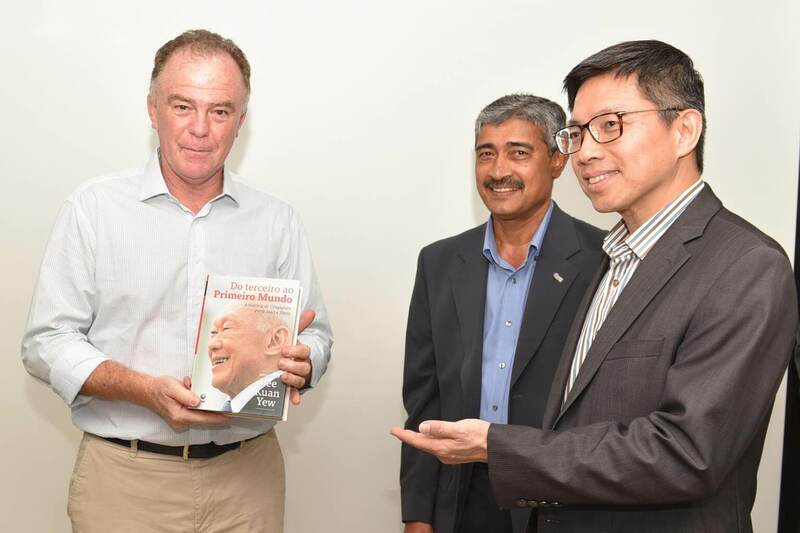 Our presence today is to say that Jurong has our full support to continue carrying out this work and bringing development to the Capixabas," he said. 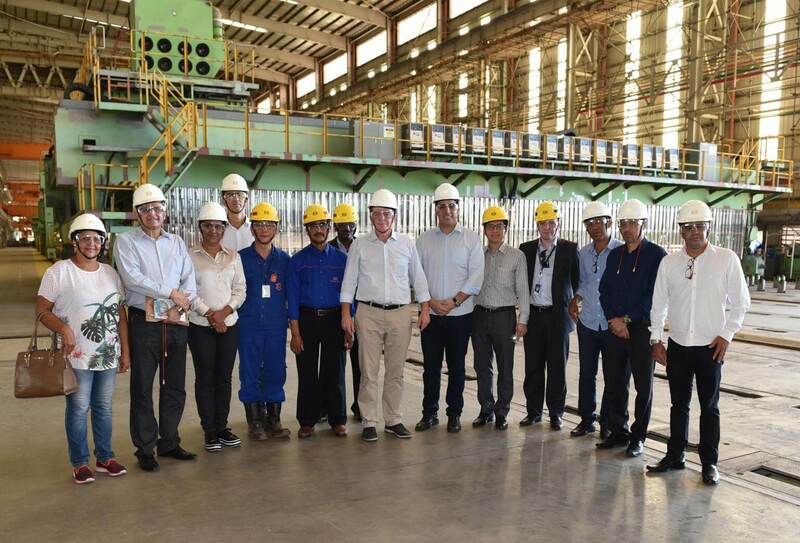 During his visit, the Governor visited the Jurong Aracruz Shipyard, which includes among its facilities a 1 km long quay with a depth of 15.5 meters and the Integrated Workshops, which are fully automated and considered to be the most modern in Latin America. The workshops have the same technology parameters as the Sembcorp Marine Group' Singapore Shipyards, of which Jurong Aracruz is a subsidiary. Currently, Jurong Aracruz Shipyard employs more than four thousand people, who work in the integration of modules and commissioning of oil platforms and in the repair of vessels. With the major oil and gas discoveries in Brazil's giant pre-salt fields and its proximity to the offshore oil fields in the Atlantic, Gulf of Mexico, and West Africa, EJA is strategically positioned to serve these high-potential growth. The EJA is located in an area of ​​82.5 hectares, with a coast of 1.6 km in the municipality of Aracruz, in the state of Espírito Santo, about 80 km north of the capital Vitória. The integrated shipyard is equipped with top-quality facilities, including a mooring dock, steel manufacturing and auxiliary pipe fittings. It also has the largest floating crane in Latin America to increase the operational efficiency and competitive advantage of the shipyard. Initial operations began in the second half of 2014. EJA has the capacity to construct drilling vessels, semi-submersible and jack-up platforms, platforms and supply vessels, integration of FPSOs and module manufacturing, as well as repair and modification works on various types of vessels. The Jurong Aracruz Shipyard (EJA) manufacturing facility, which is located in a covered area of ​​80,000 m² and has processing capacity of more than 4,000 tons of steel per month, is focused on the construction of platform modules and a variety of profiles, blocks and structures for the naval and offshore industries. Equipped with a complete line of automated cutting and assembling machines, the workshop is also capable of building steel structures for different market segments, such as for civil construction and for building bridges. Other auxiliary facilities include hydro blasting chambers and paint shops. In all, these workshops provide customers with a full range of integrated engineering and manufacturing services. Flying the Brazilian flag and manned by Brazilian crew, this latest generation floating crane was built in Japan and delivered in early 2014. Total lifting capacity of 3,600 tons, with four hooks capable of hoisting 900 tons each. The floating crane rises up to 170 metres in height, and measures 110 metres in length and 46 metres in width. Ready to serve the Brazilian market in areas such as civil construction, port and shipyard operations amongst others. With more than two decades of experience servicing Brazil's offshore industry, Sembcorp Marine and its subsidiary Jurong Shipyard are key players in the country's oil & gas sector. Going forward, with the establishment of the Brazilian shipyard Estaleiro Jurong Aracruz in Espirito Santo, Sembcorp Marine and its Singapore yards are well poised to further partner Brazil in its rapid progress and sustainable growth.